Can you imagine how you could end up homeless, the course your life might take to find yourself without a roof over your head? But what if you lost your wife, your husband, your child? What if your business had to close down or you lost your job? What if your rent supplement was cut and you couldn’t stay in your home? What if you suffered from a mental illness or an addiction? In 2014, the number of people who are long term homeless has grown by 53%, individuals who are stuck in emergency accommodation has increased to 2,298 in Dublin (1598 in 2013). Even more disturbing is the 1,275 children and 607 families who are without a home in the Dublin region alone. 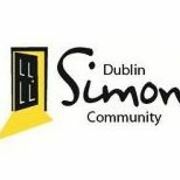 Dublin Simon Community is focused on providing supportive services at all stages of homelessness and supportive alternatives to people living in despair, enabling them to rebuild their lives and empower them to secure a safe home of their own.